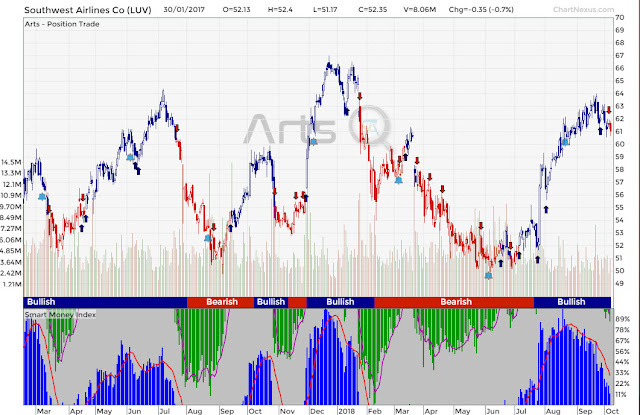 CFD Bearish Stock Spotted - SouthWest Airline (LUV) When US market is strong, he go sideway. This stock seems to be cyclical now system show red signal sell signal. Will it have a sharp drop?